I saw a wonderful idea on Pinterest last week. Poor Zachary is on his third antibiotic since New Year’s Eve for an antibiotic. 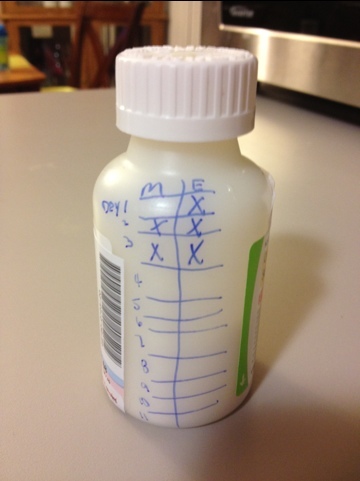 I am glad I saw the picture because it has really made keeping track of medicine easier. He kind of stole my heart. 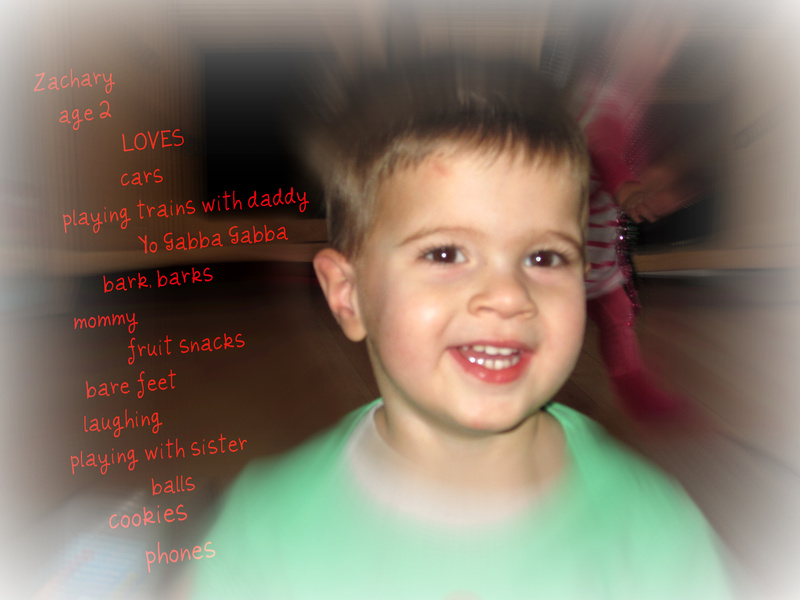 A note to a piece of my heart: Zachary. Two years ago, you turned my world upside down. I could have never imagined how much my life was going to change being the mother of such an amazing little boy. You are really your own person. The total opposite of your sister. I have been learning so much from you. And enjoying every minute. You are such an energetic little boy. So full of energy, going full throttle all day long. I don’t think you ever stop and sit. You love to play with your trucks and trains. You adore your sister and imitate her all the time. You get really upset when she doesn’t want to play with you. Your love for life is contagious. And your stubbornness is to be reckoned with. Not a day goes by that I don’t hear “I do it!!! !” We have our battles because you are adamant about being so independent. Despite your stubborn streak and independence, you love your family very much. You love to snuggle and be held. It’s common to hear you asking to be picked up, usually when I am trying to do the dishes or make dinner. Bedtime is always a nice way to end the day. Snuggles in the chair while we read books. And then you stalling when Mommy and Daddy try to leave your room. So full of love and life. You bring a certain type of joy to this house. I know that I am one of the luckiest and blessed moms in the world to call you my son. I am full of gratitude. I don’t want you to grow up too fast but I am looking forward to watching you grow and blossom. Zachary’s favorite show is Yo Gabba Gabba. He loves all the music and listens to the cds in the car on a daily basis. 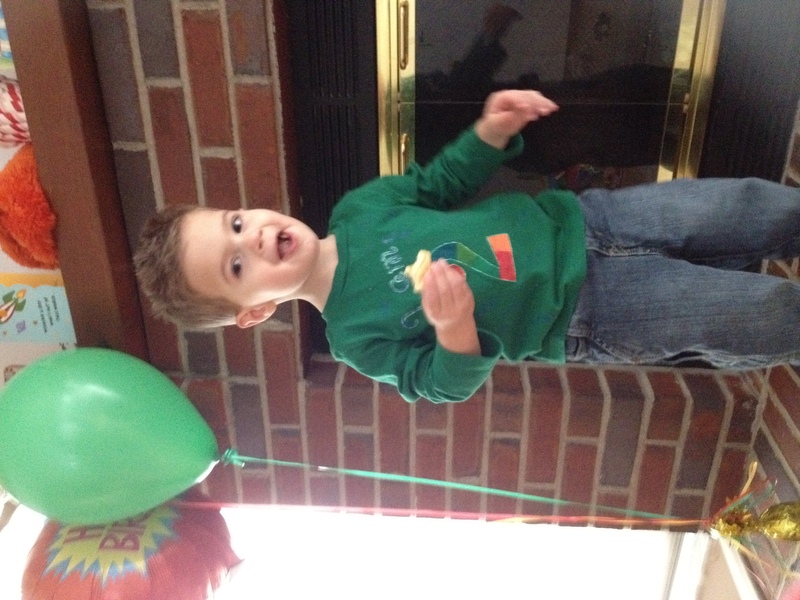 There was no other option than to party Gabba style for Zach’s 2nd birthday! It was a pretty low-key event with grandparents, Stephen’s sister and boyfriend and Zachary’s friends Molly and Noah. Yet, in typical Karon-style, I had to make something. I couldn’t let even a low-key event not turn into a crafty attempt at something. I ended up making a Gabba banner (thank you Pinterest), a birthday banner, cut-outs of each of the characters and a Brobee cake. I really enjoyed myself, truth be told. The guests were greeted by our Christmas Gabba inflatable. Yo Gabba Gabba music made a wonderful party ambiance while the kids played before lunch. Pizza, wings, salad and chips made up our yummy lunch. Zachary even ate three bowls of salad! Yum! After opening presents, we had CAKE!!!!! 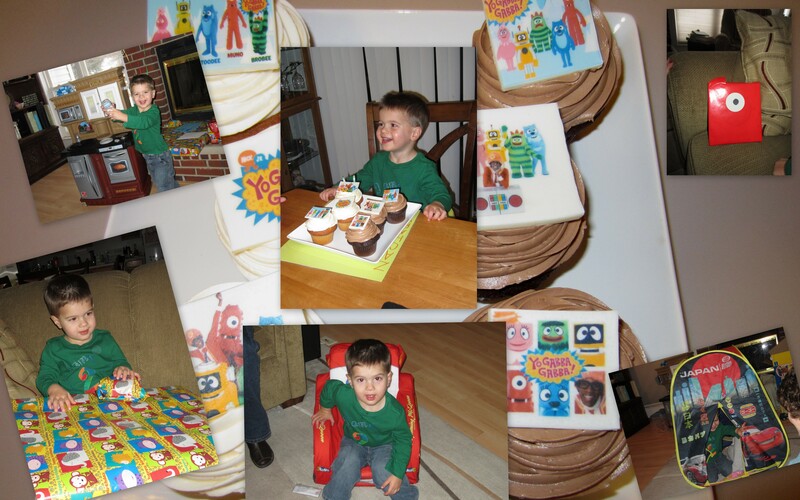 My Brobee cake was not professional by any standards but the squeals of happiness from Zachary helped me to overlook any imperfections that I was focusing on. Like I said, low-key. There were no planned activities or games. The kids just enjoyed playing with Zachary’s toys and running around while the guests got to visit. A fun party if you ask me! Unfortunately, the weather didn’t cooperate with the fun plans I had for Zachary’s birthday. It snowed, not a lot, but Emily’s school was cancelled and basically the entire interstate system in our area was snarled for many hours. But we flew by the seat of our pants and tried to make it a special day anyway. Once the local roads were fairly clear, we ventured out to one of his favorite places, Dierbergs (aka “the cookie store”) for balloons and a cookie sample. We then went to one of his favorite restaurants for lunch, McAlister’s Deli, where he ate his favorite mac n’ cheese. Nothing is better than opening presents after a little snooze. I loved his face when he saw the kitchen we got for him. It didn’t surprise me in the least when the first thing he went for was the phone on the side. He was such a crack up when opening presents. He tore wrapping paper into strips and had to make sure each piece was thrown over the side of the couch. He did NOT want help. I think he enjoyed all of his gifts. Stephen even ventured out to Jilly’s to pick up the custom cupcakes I ordered. (Thank you Living Social for a wonderful deal.) After dinner at the place of Zachary’s choosing, we came back and had cupcakes with Grandma and Papa. More presents were opened and played with as well. It was a long but good day. I think Zachary really had a great birthday. Despite the yucky weather, we had a great time. 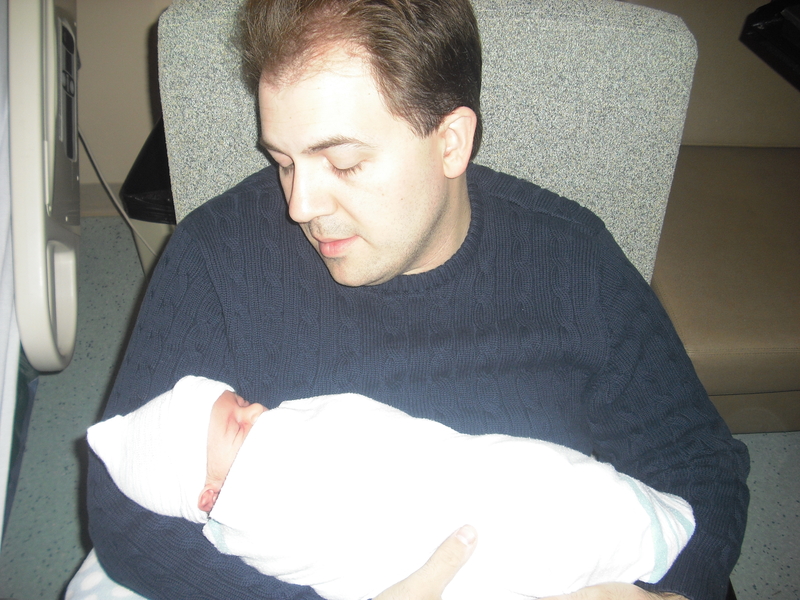 Zachary was born on his cousin Cameron’s first birthday. We decided that we would hold a joint party in Centralia this year. We thought it would be easier and that it would eliminate the issue of travel and weather for my family to travel to our house. What we didn’t plan on was sickness. Emily missed three days of school due to bronchitis and a bad ear infection. Zachary still had an ear infection and started to develop bronchitis as well. Luckily, he wasn’t contagious since he had been on antibiotics and wasn’t running a fever. Poor Emily was devastated when she was told that she couldn’t go because she woke up with a fever. She really wanted to go play with her cousins. I did promise cake though so that helped ease the sting of staying home. Zachary and I made the drive to Centralia by ourselves. It was our first solo road trip and I must say that he did very well in the car entertaining himself. He didn’t have his sister to play with or a dvd to watch. I was hoping that he would take a nap but should have known better. He did good with his books and trucks. He was ready to get out of the car when we arrived though. Poor Chloe was outnumbered during the party. You see, there are 7 grandkids. 5 are boys and 2 are girls. We were missing Emily and Timothy. Chloe was still outnumbered 4 to 1. She held her own though like only a 4-year-old can. The kids played, the adults chatted and then we had cake and opened presents. It was a pretty short and to the point party. Zachary was starting to cough and run a low-grade fever so I decided to high tail it out of there so no one else could get sick and blame me. It was a good party though. We had a good visit and both boys were spoiled, as usual. I am happy to announce that, from what I am aware of, only one person got sick- Timothy and he wasn’t at the party so it wasn’t from us. We had amazing weather over Christmas and New Year’s. On New Year’s Eve, we headed down to Frontier Park to take a walk. We headed down the Katy and made sure we saw the choo choo trains. After dinner, Grandma and Papa came over to play with the kids for a bit while Stephen and I got an hour or two of adult time. We decided to head to Cold Stone for our annual New Year’s Eve ice cream and did a little shopping. The kids partied and played with the grandparents and were in bed by 8:30. Can’t beat that! 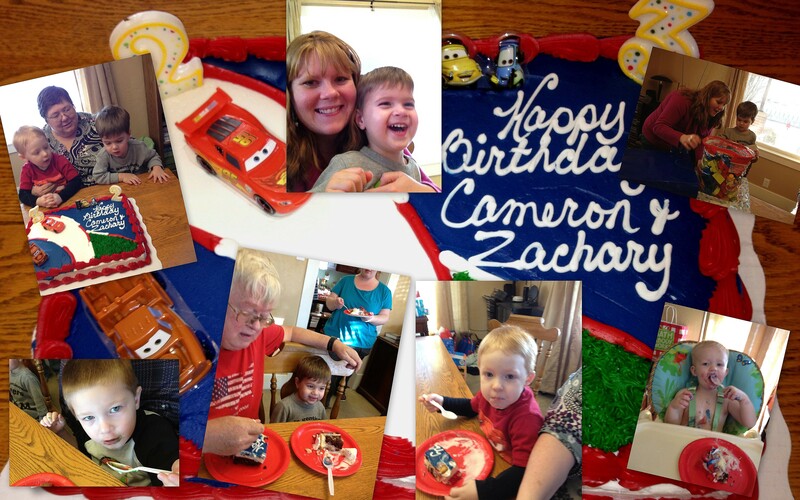 I was able to finish up a few projects while preparing for Zachary’s birthday party. Thank you Pinterest. The stool was really easy. $2.99 at Michael’s, a little spray paint and paint on acrylic circles. We’ll see if it actually works. Made it past the holidays…. before the kids got sick…. Sort of. The Thursday before New Year’s, Emily went to the City Museum with Grandma, Nina and Mike. I wasn’t really sure how much Zachary would be able to do there but it’s a good thing that we arranged to have Emily go with Grandma. We decided to take Zachary into the doctor. He had been dealing with a cold for over a month and was out of sorts. I had a huge “feel like a horrible Mommy” moment when they discovered that both of his ears were pretty infected. He never really ran a fever or complained about them. I really thought we would go and they would say that he’s just got a cold. Boy, was I wrong. Antibiotics should clear him right up. Fast forward to January. After over two weeks of a wacky schedule, we were trying to get things back to normal. Stephen was going to work, Emily was going to school and Zach and I were going to the gym. That whole “get things back to normal” thing? Yeah, that didn’t happen. Emily woke up the next morning running a fever and hacking up a storm. So much for preschool. By Friday, it was decided that she needed to see the doctor since her cough wasn’t getting any better and the fever was just not going away. Bronchitis, as I suspected, and a really bad ear infection. I had no idea about the ear infection. Only once did she mention that her ear hurt. Apparently, that wasn’t wax it was puss. And Zachary’s ear infection hadn’t cleared up. New antibiotics for both kids. Luckily, the antibiotics were helpful when Zachary developed bronchitis. One day I decided that the kids needed to get off the couch and do something else. I found some empty shoe boxes, paint and marbles. They had a lot of fun choosing colors and shaking the box. The results were pretty cool. They really liked their marble paintings, as did I.
Luckily, everyone is on the mend and sleeping through the night again. It was one long week! Christmas Day was a little different in several ways this year. First off, both kids slept past 7am! It was very nice to sleep past 6am on a weekday. We actually had to wake Emily up so that we would have some time to open some presents and eat breakfast before we headed off to Mass. I *checked* to make sure that Santa was gone before the kids came out of their rooms. Once I announced “All Clear!” Emily came running. It was so awesome to see the look of excitement and joy when she saw the new bike that Santa left her! It was priceless. Zachary was pretty impressed with his own awesome trike. Now he wouldn’t have to cruise around the basement on Emily’s old princess trike. He could learn how to ride on his own, manly bike. We then did a quick dash of opening presents so that we could fill our bellies with yumminess before we had to rush and get dressed. 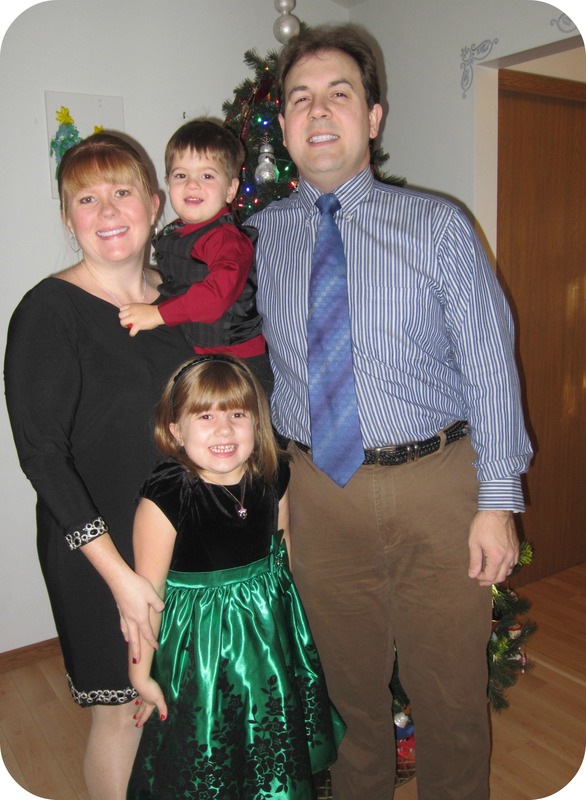 Dressed in our Christmas best, we headed out to celebrate the reason for the day: Jesus’ birth. It was the first time since Easter that Zachary didn’t sit in the cry room and he did remarkably well for a little boy who was excited about new toys. After we arrived home, we actually got to go outside and enjoy the gifts that Santa left. It’s amazing to think that it was warmer on Christmas Day than it was on Thanksgiving Day. When Santa decided to bring the kids bikes, he didn’t think that they would be able to actually get to ride them so it was a real treat! After lunch was nap and rest time. Normally our Christmas Day consisted of opening presents quickly, going to church, coming home to play for an hour and then heading over to Grandma and Papa’s for the rest of the day. Not this year. A little break to tradition since the kids are getting older. We got to enjoy some time at home and enjoy some of our presents before we headed over for dinner. I know the kids really appreciated getting to play with some of their toys. And they got naps to prepare them for a little later night. Really made the rest of the day tolerable. Dinner and more presents at Gaga and Papa’s! We had a really good visit with everyone and the kids were spoiled rotten, as usual. We all were really. We are truly blessed to have such a wonderful family and celebrate the birth of Jesus together. Merry Christmas! Thanks for this beautiful life and forgive me if I don’t love it enough. You have blessed me with a wonderful family and I am immensely grateful. It’s more than I could have hoped for. Thank you. Being a family means you are a part of something very wonderful. It means you will love and be loved for the rest of your life. No matter what.